Established in 2010 and served as an offshore broker for two years, ThinkForex is a large forex broker located in New Zealand and licensed by Australia Securities and Investments Commission (ASIC). ThinkForex was established with a goal to offer clients a platform for new and experienced traders and keep its clients updated with constant news, analysis and forex education. ThinkForex offers its clients a range of trading platforms to select from, including the optional Meta Trader 4 platform to choose from, to allow traders to select that platform that suits their method of trading. Traders can use the downloadable version of the MT4 version as a web-based version or MAM version or for mobile phones. ThinkForex also offers the SpeedTrader platform which is available in English, Chinese, Japanese and Russian. While the MT4 platform is available in over 20 languages. Traders can benefit from the outstanding features ThinkForex provides, such as the starters program, the mirror trader and including video tutorials. ThinkForex offers a highly trained and outstanding support team, which is available 24 hours a day, five days a week via email and phone. 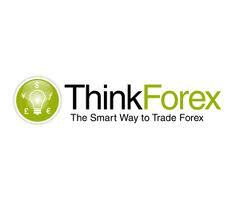 ThinkForex have branches in Brazil, Australia, Malaysia, Japan and the United Kingdom. ThinkForex website is user-friendly and provides clients with all necessary information. Clients can also track down branches and headquarters through the Google Map feature. ThinkForex offers traders with various methods of deposits and withdrawals. Some which includes Bank Wire deposits or Credit/Debit Card deposits.